Hello, my name is Todd Foutz. I live and work in Virginia with my wife of 30 years and three children. I have worked in advertising also for 30 years in several different ad agencies. I’ve been with my current firm for about 20 years, now serving as an executive director for marketing and business development. My use of analog or paper-based planning goes back to DayTimers and Day Runners. I still have those lovely pocket-size covers and inserts. Eventually I switched over to the Franklin Covey system and transitioned to a big, bulky binder. I loved the flexibility of the three ring binder system and variety of inserts. From the Franklin Covey, I switched to digital devices like the Palm Pilot, Handspring and iPhone. About five to seven years ago, I had a desire to get back to pen and paper but didn’t want to go into a structured system like Franklin Covey. I began using what Merlin Mann called, The Hipster PDA: a stack of 3×5 notecards held together with a binder clip! I’ve been using Ryder Carroll’s Bullet Journal method for about the last two and a half years and it is, by far, my favorite analog productivity approach. For the last year or so I’ve been focusing my efforts on journaling for work purposes under the banner of Journaling for Professionals. I have a Facebook Group at Journaling on the Job or you can follow me on Instagram @projournalers. How and when did you first discover Rhodia products? I have seen people in my business using Rhodia products for many years but picked up my first Rhodia Webnotebook in 2016 for journaling. I’ve also used the new GoalBook as well. Which are your favorite Rhodia products? I am a strong proponent for the A5 Rhodia Webnotebook. As I told someone recently, for me, journaling is something that I’m doing on the run. From home to office to hotel to conference hall, the Webnotebook is the best for writing and sketching. The Rhodia paper is absolutely the best there is, in my opinion. It holds up whether using a fountain pen or Tombow marker. If you are like me and keep your journal with you wherever you go and need it to be durable and can handle most any type of pens and markers, you need a workhorse journal. The Rhodia Webnotebook delivers perhaps better than any other. Do you use your Rhodia products for work? Personal use? Both? My focus has been on professionals mainly. There has always been debate between those who use separate journals for business and personal use. For me, if you are using it for your Bullet Journal or some modified version, you can always find a way to integrate business and personal use in your layouts. The bottom line is that I can use my Rhodia Webnotebook for anything I like – note taking, planning, sketching or personal journaling. It’s that good and flexible. Do you use pencil, pen, or other? What are your favorites? Ha! That’s a loaded question. You should see my collection of pens, pencils and markers! To date, I believe I have more than 400 writing and drawing instruments that I keep in my office. Why? Because I switch between writing tools constantly. One week I may be using my Pilot Metropolitan fountain pen and Faber-Castel thin line black marker. The next week I’m on to my Pentalic watercolor pencils and Stabilo markers. I enjoy mixing media in my Rhodia because I know I can without fear of bleeding through the paper. The only media I don’t use in my Rhodia are Sharpie’s and Prismacolor art markers. I save those for mixed media illustration pads. Where do you regularly purchase Rhodia products? I travel quite a bit for my job and so wherever I go, I check out the local art supply stores to pickup pens and journals. Fortunately, Blick Art Materials are in many cities and are my first place to visit for browsing and purchases. But I have found so many independent art supply stores with great selections and bargains as well. I don’t think I’m that different from other journalers in that I like to try out new products. I’ve gone through my share of journals from Moleskine to Scribbles That Matter to Leuchtturm and more. They all have pros and cons for use and I think a lot of it is personal preference. 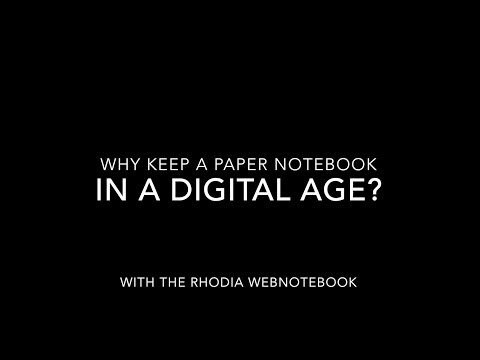 But if you want the highest quality writing paper, you will not be disappointed with Rhodia. In fact, Rhodia paper is so good, it makes you want to improve your handwriting so as to write slower and with greater beauty on this gorgeous paper. Thank you for the opportunity to speak here and share my story!